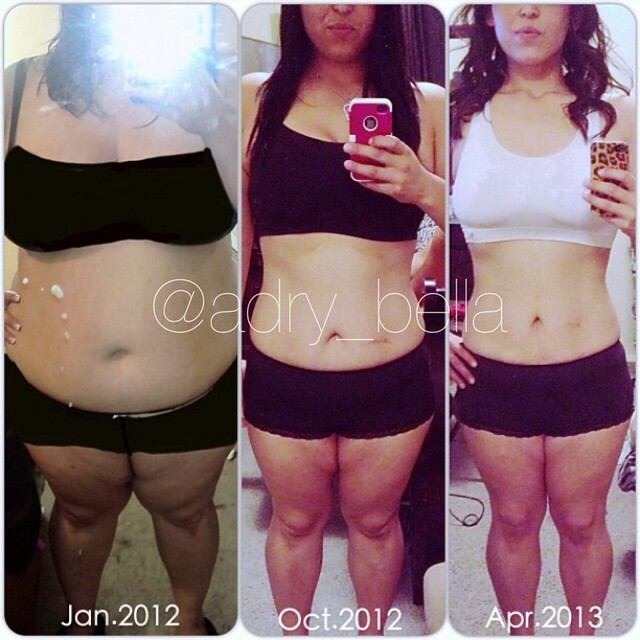 Adry Bella’s stunning weight loss transformation photos has been circulating around the internet for a sometime now. Adry’s remarkable change caught the attention of many sites, which some have even taken her photos to promote various products without her permission. She’s been accused of many things such as having gone through surgery and photoshopped. Read along her story to find out that all this was achieved by endless hours hard work, sweat, and tears. 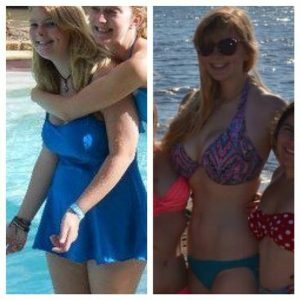 This involves running for miles, P90x, INSANITY CHALLENGE, and she just recently joined the gym! She felt like giving in many times but after seeing the results in the mirror. She knew that she needed to push on forward. Thank you so much for sharing all your hard work. It really has paid off. I wish I had as much dedication. Like you said, it doesn’t happen on its own. It takes motivation, dedication, and the will to get what you want. You look amazing! I currently resemble your before picture. Hope you don’t mind but I think I’m going to snag your picture and hang it up as my inspiration. Thanks for sharing. Amazing! So motivated to get moving! Hi…can i have your email id to seek some help regarding weight loss?? @zara you can contact her directly via her instragram from the above link. I don’t think she wants to give out her email to the public. 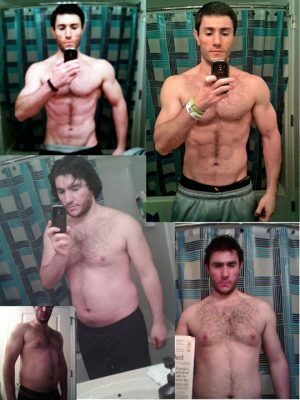 Your story is giving me inspiration!! I need to lose weight and keep getting distracted. I need motivation to exercise. You look amazing. You are ab inspiration! I am a 53 year old and struggling to lose 100 pounds. You have inspired me to keep going!